This image, courtesy of CHPS Board Member Trent Gremillion, shows Shell Beach Drive West of Lake Street as well as a portion of the Calcasieu River. 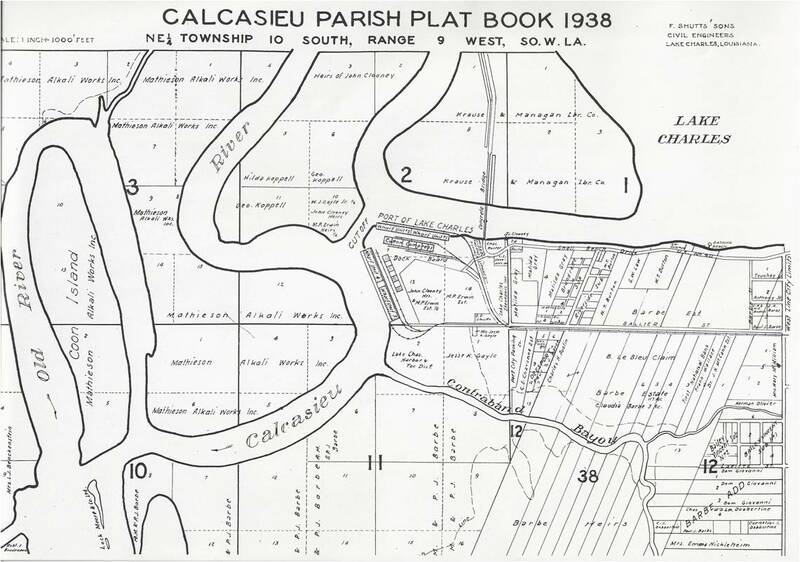 Before the Port of Lake Charles was established, the Calcasieu River flowed south from Lake Charles in a series of wide oxbow bends. Efforts to straighten and deepen the river meant cutting through bends for shortcuts. That effort changed the nature of the lake which had been a freshwater lake edged with cypress and tupelo trees.